After collecting their wages they allegedly stole cassava and plantain from the farm where they had worked. It is a situation that is capable of discouraging some persons from engaging in farming, considering increasing insecurity. You could just go to sleep and the next day your produce have been harvested. Taofik Adele, 27, and James Akande, 31, are labourers, but they also had different motives when they went to work at a farmland along Okitipupa-Ikoya Road, Okitipupa. Timothy Aremu, the owner of the farm, had paid them for the work they did, but it appears the money was not all they wanted from the man. After receiving that payment, they allegedly stole some farm produce which has now landed them in trouble. 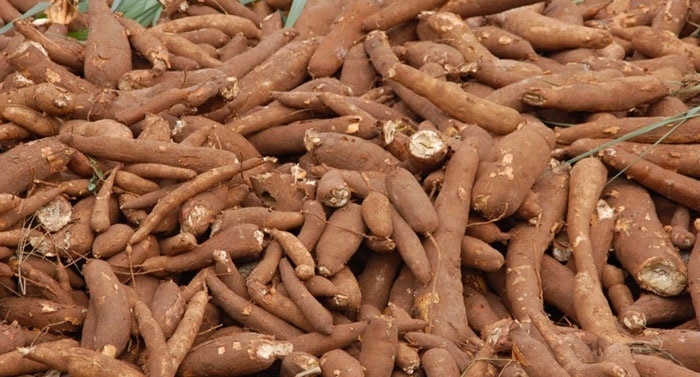 Tubers of cassava and a bunch of plantain worth 50,000 Naira are what they are now being tried for at an Okitipupa Magistrates’ Court in Ondo State. The two labourers, whose addresses were not provided, are facing two-count charge of conspiracy and stealing. The Prosecutor, Zedekiah Orogbemi, told the court that the defendants committed the offences with one other person currently at large on November 10 at the farmland. Orogbemi said the defendants stole the farm produce after Aremu had paid them their full wages for working on the farm. They were caught by the complainant when they were about to escape with the produce. The offences contravened sections 390 (9) and 430 of the Criminal Law of Ondo State, 2006," he added. However, after their charges were read, the defendants pleaded not guilty and the Magistrate, Mr Banji Ayeomoni, granted them bail in the sum of 30,000 Naira each with one surety each in like sum. Ayeomoni ordered that the sureties should show evidence of one year tax payment to Ondo State Government and adjourned the case until December 8 for mention.